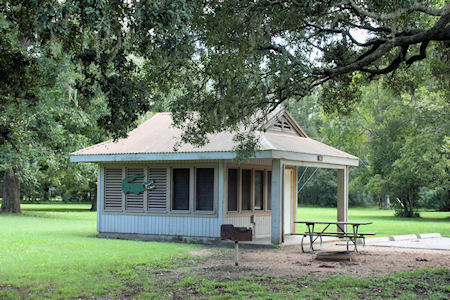 Brazos Bend State Park is only 45 miles from downtown Houston, Texas. That fact alone makes this a very popular park. The park includes over 35 miles of hiking trails which include 8 miles of equestrian trails. 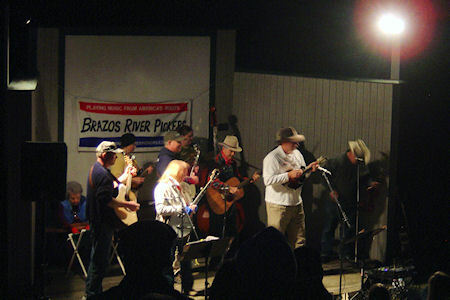 The 5000 acre park has over three miles that front the Brazos River and inside the park are numerous small lakes, creeks and swamp land. This habitat is cover with a wide variety of wildlife. There is also an interpretive center locate in the park. It explains what wild life you might see in the park and the staff there will also teach you proper alligator etiquette. This is important, pay attention. 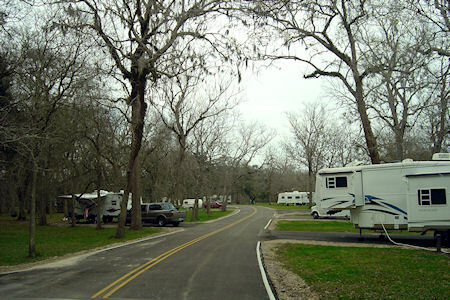 One of my favorite things at this park is the RV campsites. They are all paved and everyone that I have used is very level making set up easy. ABSOLUTELY DO NOT feed or annoy the alligators. Keep pets on a leash no longer than six feet. Do not throw objects in water for your dog to retrieve. Keep at least 30 ft. from an alligator – do not assume they're slow-moving. 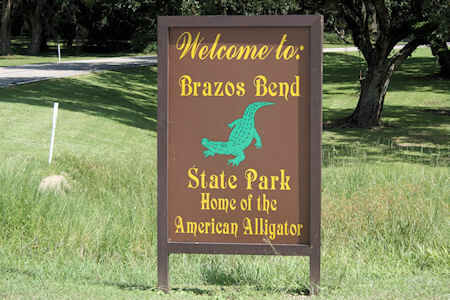 Do not swim in or wade into any water in Brazos Bend State Park. If an alligator goes after a fish you have caught, cut the line and let the alligator have the fish. Avoid any alligator sunning itself in the middle of the trail or lake bank. Stay clear of grasses, twigs and/or soil near the side of a trail: it may be a nest and the mother alligator is probably close by guarding it. If an alligator opens its mouth and hisses, you have come too close. Retreat slowly make no quick moves. Keep your eyes on the alligator.